The summer before Sam Welsh's junior year at Concord Academy, he spent much of it on a dirt field spinning around in circles. This all is very good for Harvard, the university Welsh signed with in November before he started making immeasurable gains in the circle. The Crimson haven't had a thrower with this much ceiling, potentially, since Nick Sweeney, an Irishman who made four straight Olympics in the discus starting in 1992. 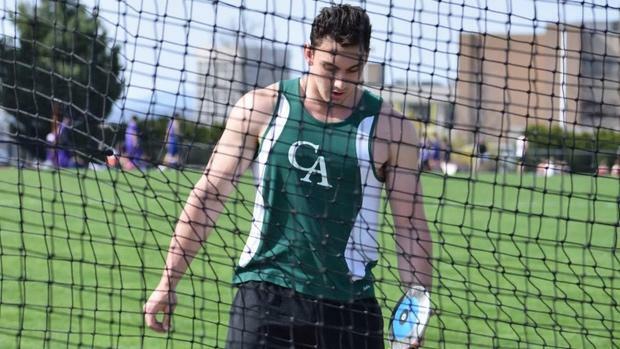 Welsh plans to compete in the discus, shot put and maybe even the hammer in college. But who would have thought all this just a few years ago? After all, Welsh had parlayed much of his athletic abilities in baseball or basketball throughout his childhood. At one time or another, those sports were ideas that Welsh could hang on to, maybe even dream about. Then one day he was walking in the dining hall at Concord Academy when the school's track coach, Jonathan Waldron, stopped him. "You look like you could be a thrower," Waldron said. A few months later, as the story goes, Welsh was on a dirt field with his dad studying Mac Wilkins and Robert Harting, Olympic throwers with world-caliber pedigrees. "I wanted to try something else," Welsh, who plans to study math and economics at Harvard, remembers thinking. And now here we are. Within two years of touching the discus for the first time, Welsh is aiming for the kind of records that would position himself on the all-time charts. That kind of meteoric rise in today's information-driven world is practically impossible now. But Welsh admits there are a few reasons why his story hasn't been told beyond the local paper or his school's in-house newsletter. "I've had a lot of meets at Concord and sometimes they don't upload the results because it's a hassle," he said. And yet, Welsh was still bombing them. His first competition saw a mark of 183-9, which broke a school record. 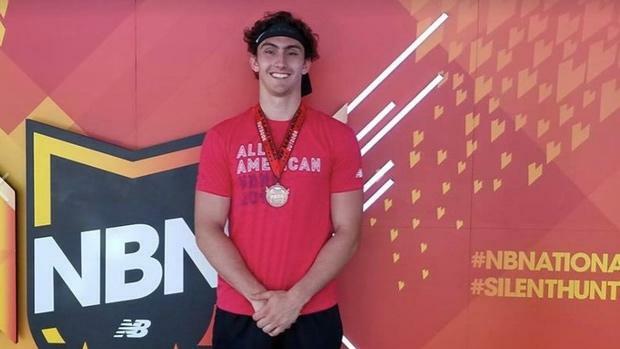 He later entered the championship field at New Balance Nationals Outdoor last June, taking fifth with a throw of 186-6 and earning an All-American nod -- four places behind Turner Washington, who flung a winning mark of 223-2 and finished his season ranked No. 4 all-time. Then came an effort at the USATF Junior Olympics and then his PR over the summer at the Bay State Games, less than a year before he started. This one didn't get logged on the national sites, so in some ways it went unnoticed. But that 195-11 throw, a Massachusetts state record, got the attention of Harvard. "Once I had some physical marks, which I hadn't had before, I reached out to some coaches and had some conversations," he said. Welsh's training started so simple. After hiring a local coach, he began with standing throws in the circle and worked on generating an explosive finish. Then he made his way toward the spin. With impeccable balance and high-end strength, Welsh naturally found his way. He went from an early standing throw of 130 feet to over 180 by his first competition. It may sound weird, but he basically "tried to make it look like a professional spin." "Balance is a big piece," Welsh said. "One of my biggest strengths has always been my finish." Early this spring, Welsh toed the line of respectability, with throws of 195, 189, 198 and 190. Welsh nailed his first 200-footer at the Concord Academy Relays, posting a best of 202-4. At the time, it was a new US No. 1 mark. 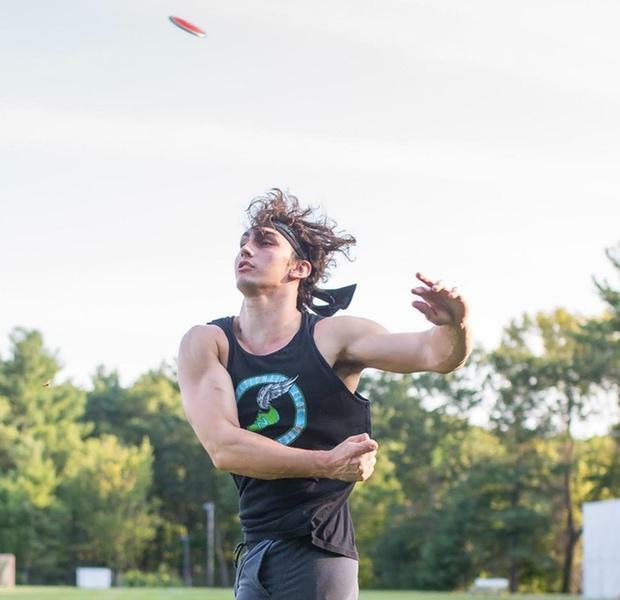 "I think most people don't expect a thrower like this could come out of Concord Academy," Welsh said of his boarding school, which has less than 400 students. "But once I would show people video, they were shocked I started in my junior year. It's a weird feeling." Within a week, Welsh's mark was upended by another thrower in Oklahoma, Patrick Larrison, who had a stranglehold on the nation's top throws for much of the season. Harrison finished his regular season on May 12 with another US No. 1 of 210-9. Welsh came back a week later with a 212-0. "When I threw it, I knew," he said. "It was my first throw of the meet. It kind of felt effortless." The only remaining chapters left in Welsh's career journey are the Massachusetts state championships and his second trip to New Balance Nationals Outdoor, where he'll likely face Larrison. He says he's not going to aim for a qualification for the U20 Championships because he'll have opportunities down the road to achieve those feats. Now, he just wants to finish out his high school career strong. Part of that, he says, is concentrating on what he can control, on focusing on his own throws and no one else's. "In all the competitions I've been in," Welsh said. "I've only thought about myself and throwing as far as I can." But if he and Larrison go back and forth? "That will definitely give me some energy," he said. "At that point, I will have to keep my adrenaline under control and channel it. That will pump me up." At that point, though, he'll be a secret no more.